Dubai is one of the most popular international destinations for millions of people all over the world. Dubai is also one of the most visited country by Nigerians,why this is so is because of the accessibility of the country's visa. This article will explain to you how you can buy a much cheaper flight ticket to Dubai. 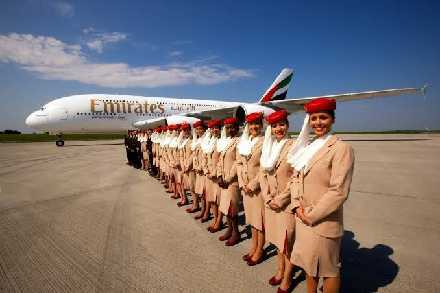 There are a couple of International Airlines that fly to Dubai such as Etihad,Qatar Airways,Ethiopian Airline Etc. Now lets take a quick look at how you can actually buy a cheaper flight ticket from Lagos to Dubai UAE. Don't think that flight to Dubai tickets are cheap,a flight ticket to Dubai will cost from $442 to about $1,300. Just like most Airline ticket price,the cost of flight tickets are not constant they fluctuate,and it depends on the Airline your using to fly for example the ticket price of Ethiopian Airline might be cheaper than the flight ticket of Etihad. If your on a tight budget then,you should make plans and choose the specific date of when your most likely to make the journey. Booking and paying for your Dubai flight ticket weeks or month ahead will actually be pocket friendly because you will secure a much cheaper flight ticket. You have to take your time to compare the price of different international airlines flying to Dubai. All you have to do is to list out all these Airlines,take your time to visit their official website and study how their flight ticket price fluctuate and when your most likely to secure a much cheaper flight ticket. This is another area that make it look as if ticket price to Dubai is always on the high side. If you decide to book your flight through a travel agency or a private agent,you should definitely know that your ticket price will be higher. The Agent or travel agency would probably add their own commission,that will make your travel ticket to be much more expensive. Even if your travelling in 3 months time,but you have a specific date you want to travel,securing a much cheaper flight ticket to Dubai might actually not be possible because in other to buy a much cheaper ticket you have to play around with different dates that are close to the period you would want to travel out,this will also enable you to pick out a date when the flight fares will be cheaper. Peak periods are mostly festive periods like Christmas,Easter,Thanksgiving,Holidays Etc and even on weekends. Prices of fight tickets from Lagos to Dubai are very high during festive seasons. In other to secure a cheaper flight ticket you should avoid booking for your ticket during any festive season and even on weekends. Your booking should be during weekdays preferable on Tuesdays - Wednesdays and it shouldn't be near any holiday or festive season,because a lot of people will be traveling during that period so the ticket price will be on the high side. You should also compare the flight ticket price on different travel websites and the price on the official airline you want to travel with. Some travel websites that offer updates on the prices of international flights include wego.com.ng,travelstart.com.ng,cheapflights.com.ng,tripadvisor.com,wakanow Etc. You can also subscribe in other to be receiving daily price notification and price drop alert,however it's better and cheaper to book and pay for your flight ticket from the official website of the airline you want to travel to Dubai with. If you have any suggestions or tips on how to secure a cheaper flight from Lagos to Dubai,please share with us in the comment section below.